According to a new report from the United Nations Food and Agricultural Organization, the United States is no longer the world's fattest developed nation―Mexico is. Nearly a third of Mexican adults (32.8 percent) are considered obese—people aged 20 and older whose body mass index (BMI) is 30 and above. That edges out the United States, where 31.8 percent of American adults are considered obese. Syria at 31.6 percent, is the third fattest among developed countries, while Venezuela and Libya are tied for fourth at 30.8 percent. Mexico's urban lifestyle and rising income levels coupled with malnourishment among the country's poor have helped it claim this unhealthy title. Diabetes kills an estimated 70,000 people a year in Mexico—"or roughly equal to the deaths authorities say are caused by more than six years of the country's gangland wars," the Post noted. 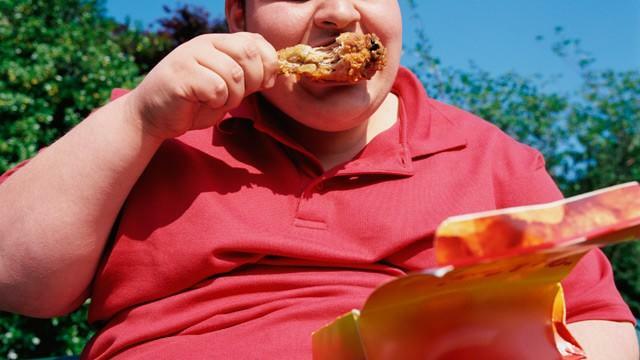 About 12 percent of the world's total population is obese, according to the U.N. report. The world's fattest nation overall is Nauru, a South Pacific island where a staggering 71.1 percent of its 10,000 inhabitants are obese. The U.N. report does not include data for American Samoa, which has been tabbed in the past as the world's fattest country. According to a 2010 World Health Organization report, nearly all of that Pacific island's inhabitants (95 percent) are considered overweight. On the other end of the scale is Japan, the thinnest developed country. Just 4.5 of Japanese adults are considered obese, the U.N. says.